Vintage Shelley China Teaplate. Pretty Tea Plate. Shelley plate. Side plates. Teaplate. Afternoon tea plates. 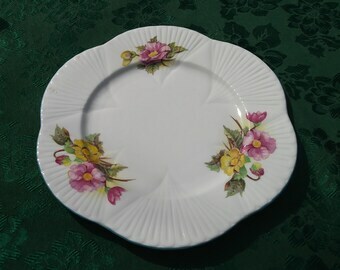 CLEARANCE Shelley 8” plate in the Begonias Pattern #544, 545, 550, 551, and 552.